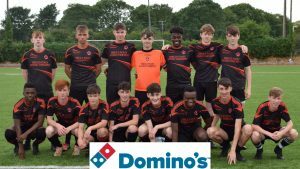 Players must be under 17 years of age on January 1st 2019 to be eligible to play in the Dominos Pizza U17 Cup. 1. Castleisland Afc 3-0 Atletico Ardfert . 2. Mastergeeha Fc v Listowel Celtic . 3. Killarney Athletic v Ballyheigue Athletic . 4. St Brendans Park 5-1 Ballyhar Dynamos . 5. Rattoo Rovers v Dingle Bay Rovers . BYES; Killorglin Afc , Killarney Celtic, Fenit Samphires . Killarney Celtic v 3 . Fenit Samphires v Castleisland Afc . 5 v Killorglin Afc . St Brendans Park v 2 . All games apart from the Dominos Pizza U17 Cup Final must finish on the day. If the final ends in a draw it will go to a replay. NOTE; All KDL Cup semi-finals and finals are to take place in Mounthawk Park.